You earn one point per dollar spent on your food & beverage subtotal when dining at any participating SMASHotels Restaurant. 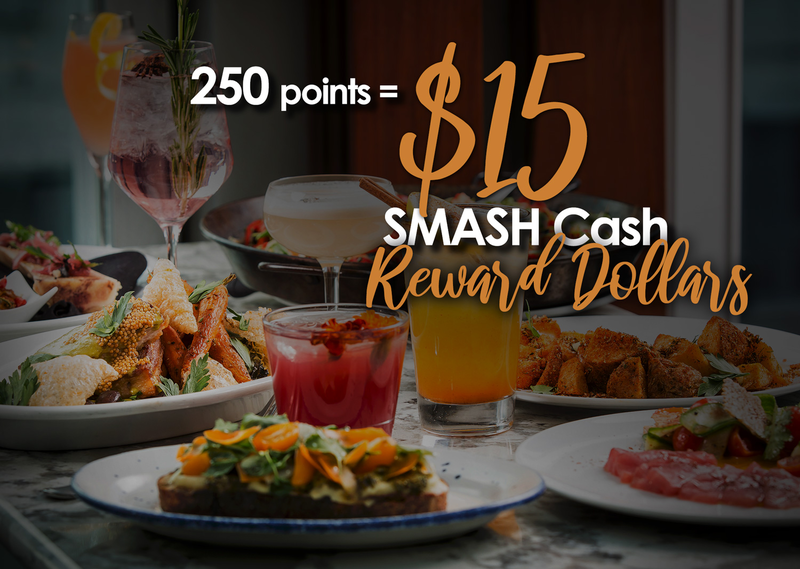 Points are converted into $15 SMASH Cash Reward Dollars at every 250 point increment loaded directly to your account. Points are earned for each dollar spent (excluding tax and tip) at all participating restaurants: The Albert, State & Lake Chicago Tavern, and ROOF. Certain restrictions apply, and restaurants are subject to change. SMASH Cash Reward Dollars do not expire if your account accumulates points each year. If you do not earn a minimum of one point during a calendar year, any accumulated points will be forfeited. 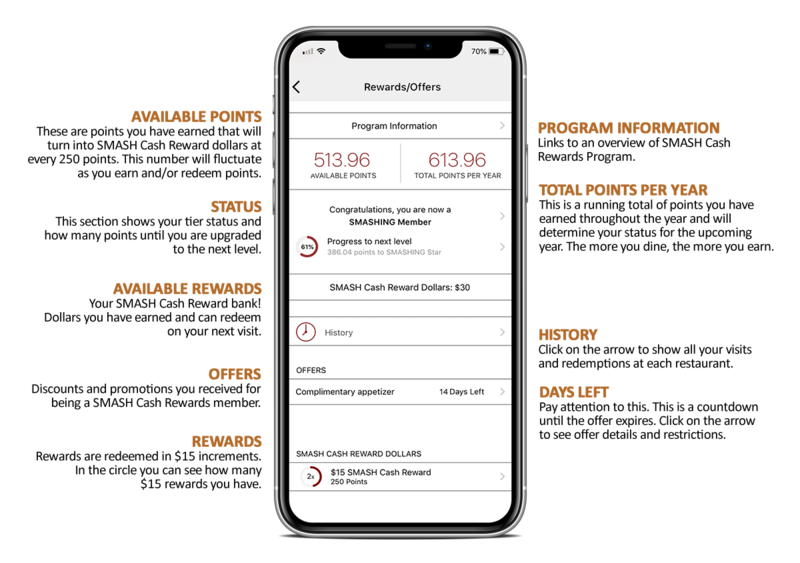 All unredeemed points will rollover to the following year. You can attain SMASHING Star status by spending $1,000 or more during a calendar year. 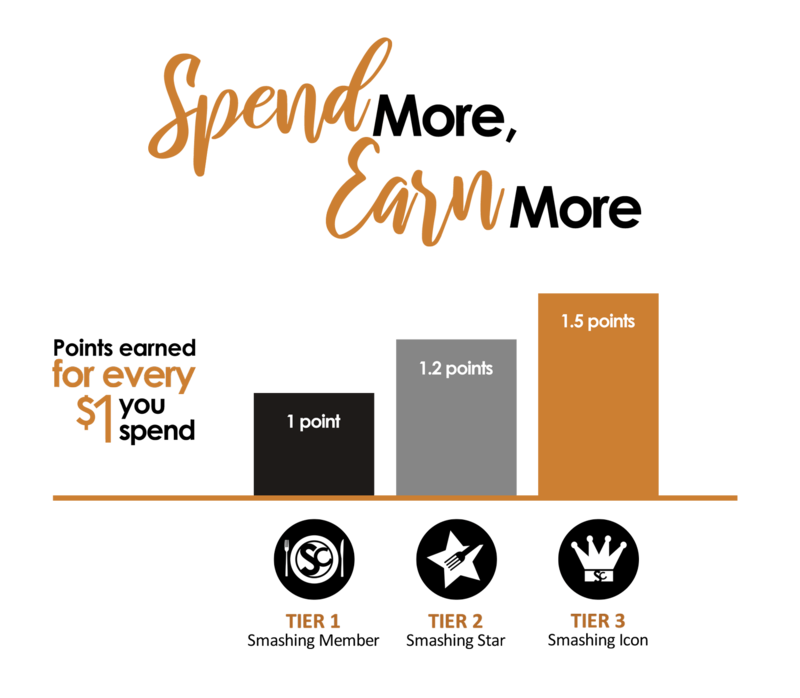 Star Members earn 1.20 points per dollar spent. You can attain SMASHING Icon status by spending $2,500 or more during a calendar year. Icon Members earn 1.5 points per dollar spent. Once you have reached Star or Icon status, you will keep that status through that year and the following calendar year. © 2019 SMASHotels. All rights reserved.